Here are some pictures of a wooden thread diameter gauge that I built several years ago. I have a couple of these for different thread pitches. Vises don’t go out the door until they are checked with these. It is based on the “three wire method” that machinists use to verify their threads are within tolerance, except it uses stainless steel rods and they are held in place with machined brass attachments. 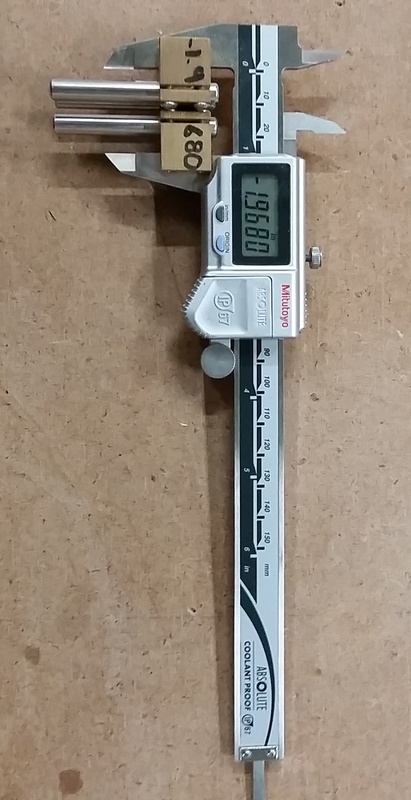 The foundation of this tool is a Mitutoyo 6″ digital caliper, IP67 protected (keeps dust or liquid from getting at the internal electronics). I often see the non IP67 calipers being used by woodworkers but I think it’s worth the premium due to the dusty nature of the woodshop. 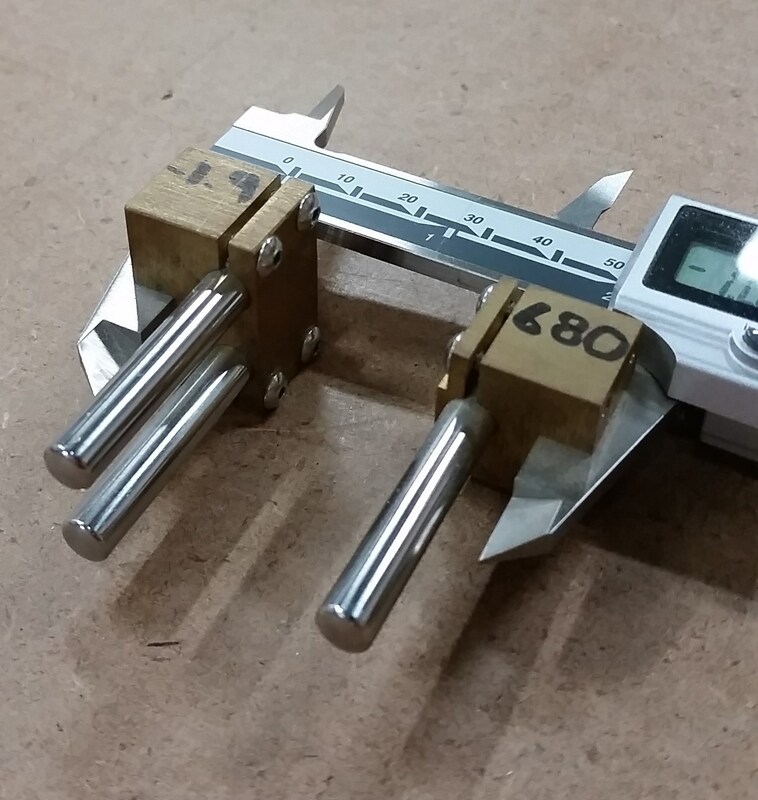 I’m of the opinion that a finer digital caliper isn’t being made. There is often a slight variation in thread dia. within a batch, no more than a few thousandth of an inch from our own standard fit; the looser fit vises go to more humid climates and the tighter fit go to dryer climates. We also vary the fit based on our shops humidity, tighter in the summer and slightly looser in the winter. 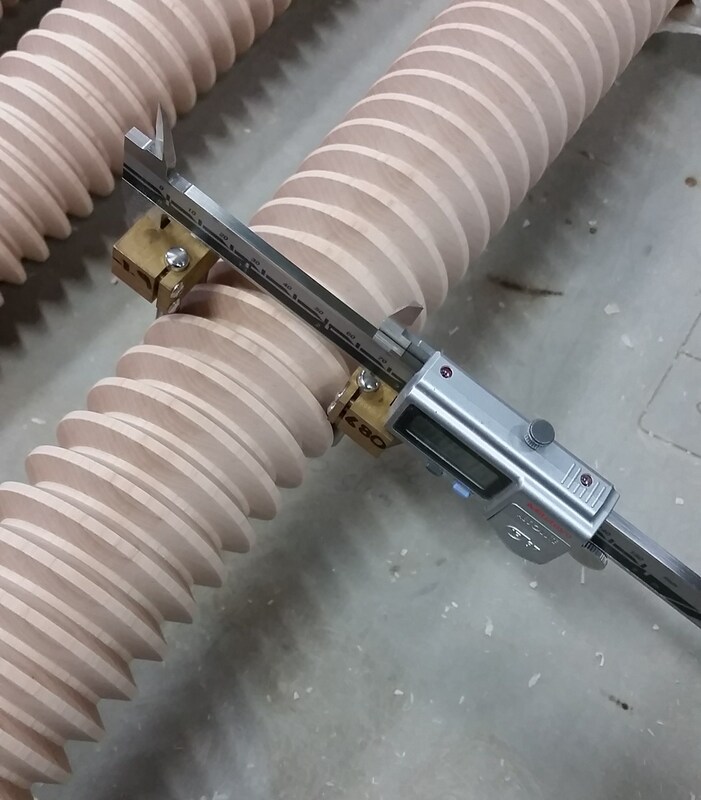 Our vises are made to machinist’s standards and we think that’s important, as we want the fit between the visescrew and nut to be as tight as possible without binding. You’ll notice the numbers written on the brass pieces, -1.9680. These represent what the readout should say when the calipers are fully closed. Just in case the batteries die and the zero point is lost, we can reset them with the known distance from the closed position.